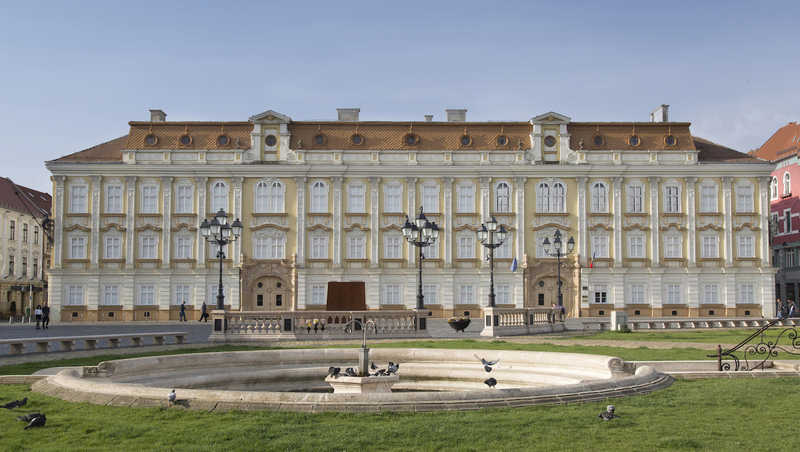 The Baroque Palace, situated in Unirii Square, hosts today the Museum of Art Timişoara. 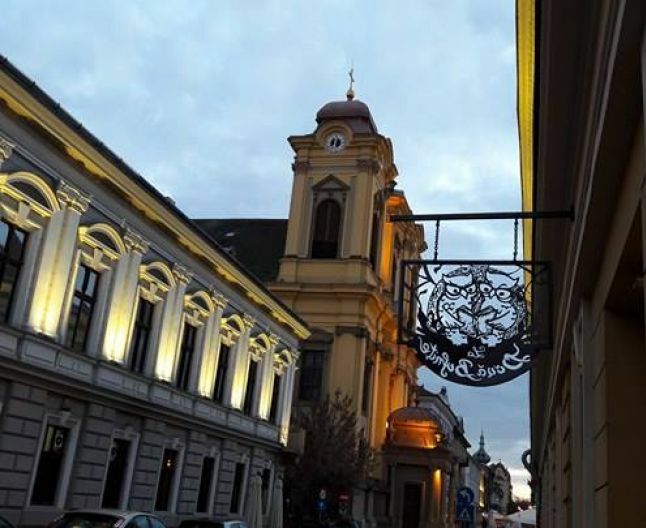 Its name dates back to the 18th century when Timişoara, under the rule of the Habsburgs, got a new urban plan with baroque architectural influences, either by adding new buildings or by transforming the existent ones. Inaugurated in 1893, the Arad Museum was originally housed in the State Theatre and focussed on the 1848 Revolution. 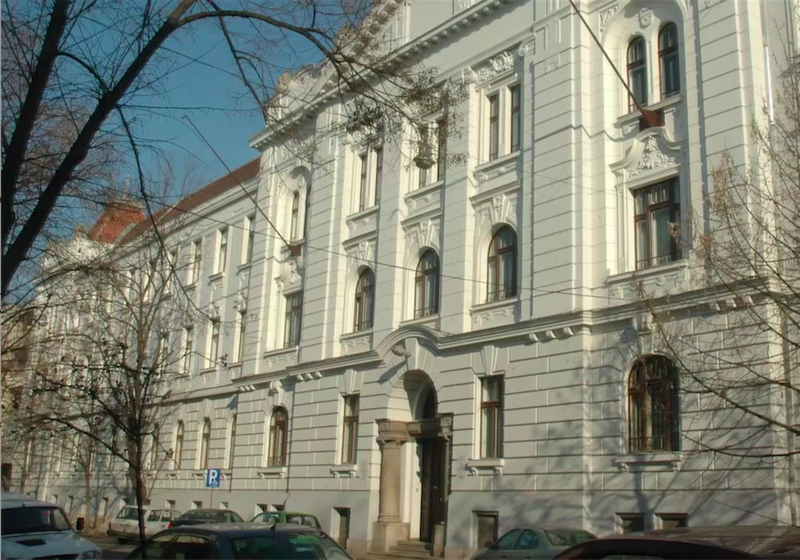 After 1913, when it was moved to the new Palace of Culture, along with the Philharmonic and the Library, the museum was enriched with mediaeval history collections and a gallery of European art. The Corneliu Miklosi Public Transport Museum marks two important moments in the history of Timisoara: the inauguration of the first horse-drawn tram line from Romania in 1969 and their replacement with electricity powered tramways in 1899. 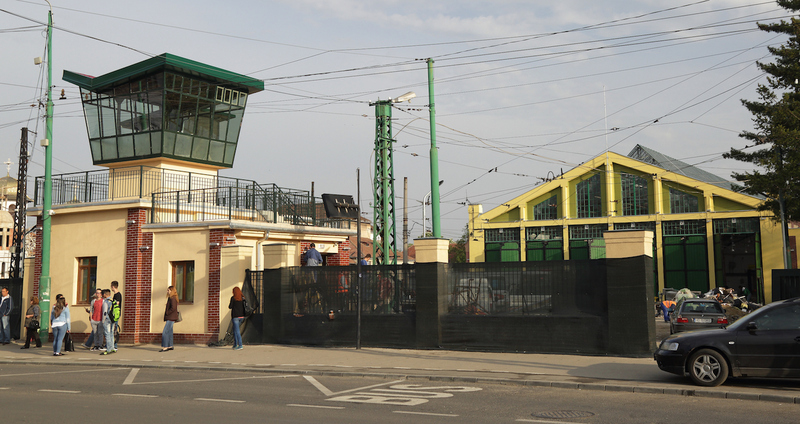 The museum is located in the old city tram depot, built in 1927. 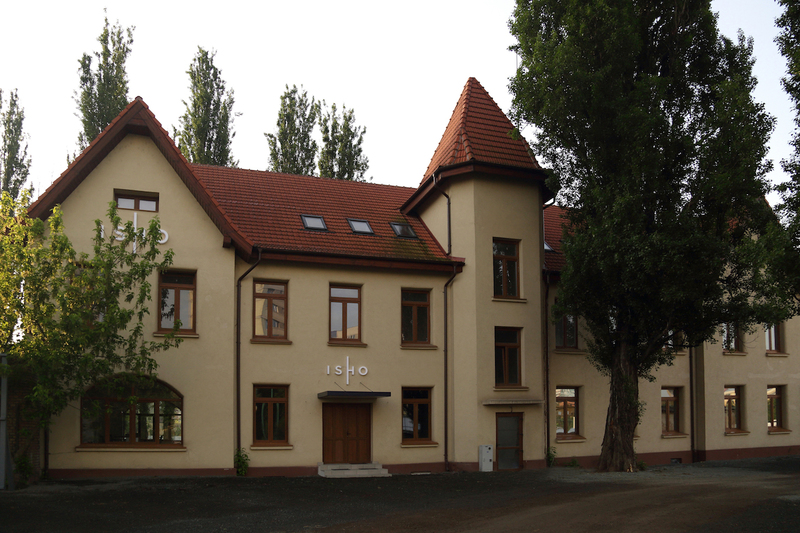 Built between 1904 and 1905, the ISHO House was part of the first buildings of the ILSA wool factory. The vast space of ​​the ISHO House will have a double purpose in the second edition of Art Encounters. The first floor offers an exhibition space, and the second a meeting hub. 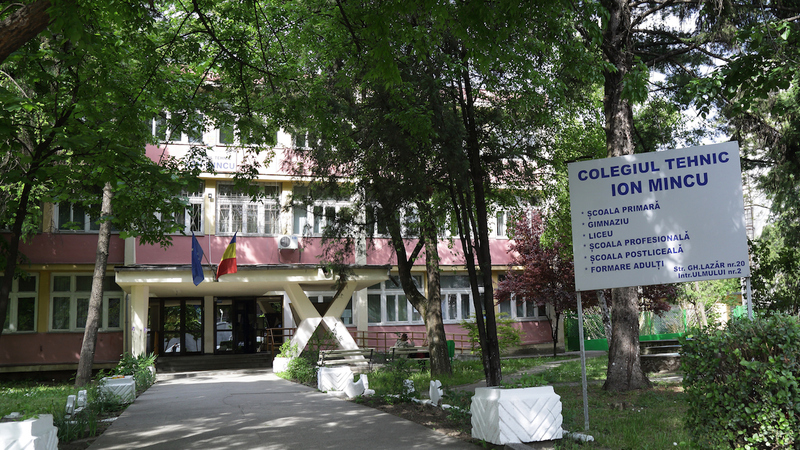 Dating back to 1968, "Ion Mincu" Technical College is the first high school with an architecture profile from Timișoara. 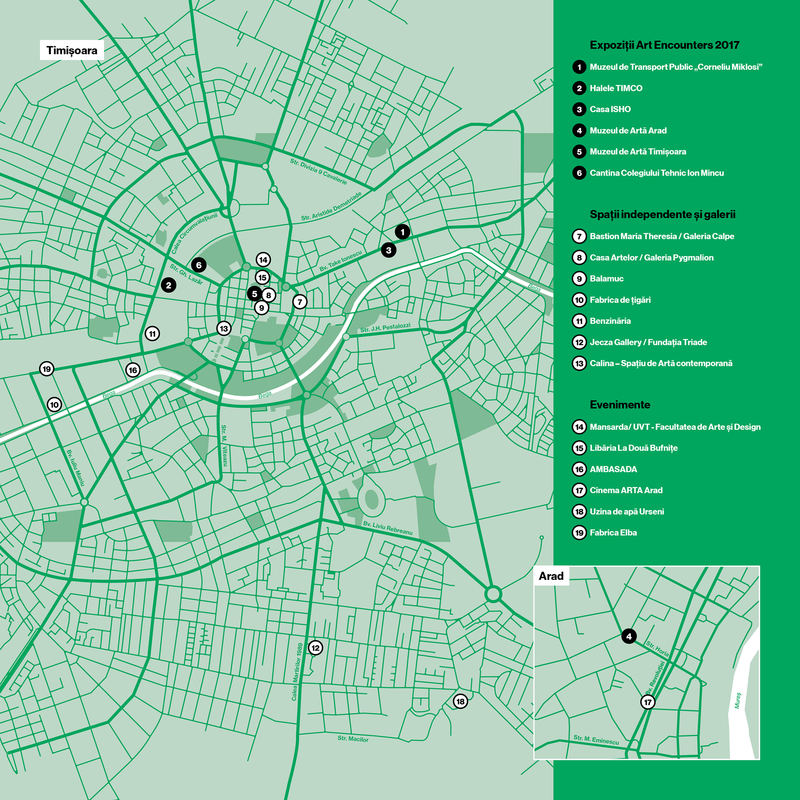 Due to its history and positioning in the central area of ​​Timișoara, close to many historical, architectural and cultural heritage objectives, the potential of the college cafeteria’s space has been highlighted and included on the map of Art Encounters exhibition venues. Starting with 2007 CALINA CONTEMPORARY ART SPACE presents a series of important artists: Aitch & Saddo, Mihai Barabancea, Răzvan Boar, Ciprian Ciuclea, Suzana Dan, Daniel Djamo, Constantin Flondor, Ciprian Homorodean, Liliana Mecioiu, Gili Mocanu, Sebastian Moldovan, Teodor Moraru, Romul Nuțiu, Sorin Oncu et. al. related to the art scene in Romania. 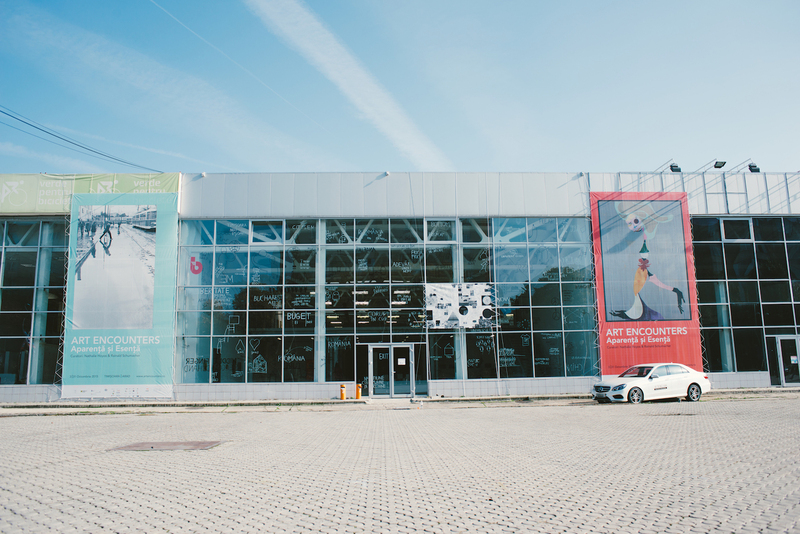 Interart Triade Foundation, active in the field of art for over 15 years, has been a co-organizer of the Art Encounters Biennale since its first edition. 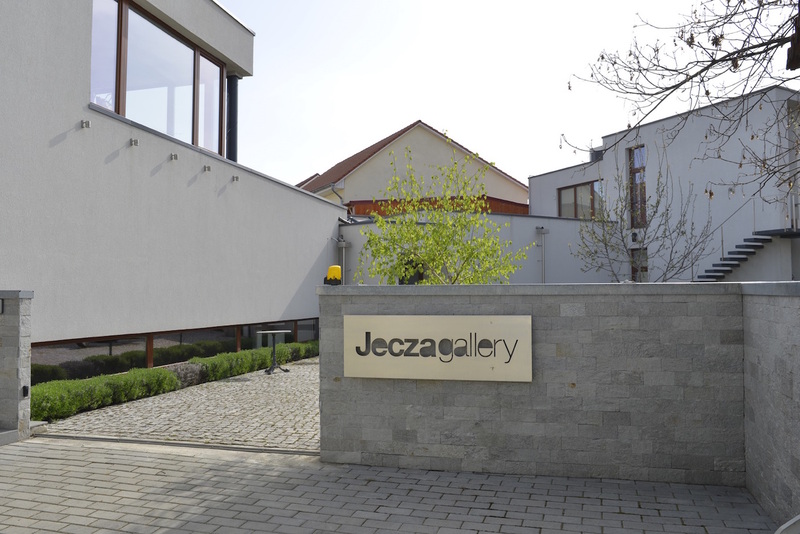 The location, usually called the JECZA HOUSE, is well known by people of Timişoara. 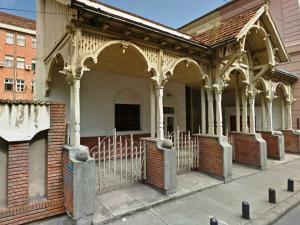 This is where the late sculptor Peter Jecza, a figure on the Romanian art stage, used to live. 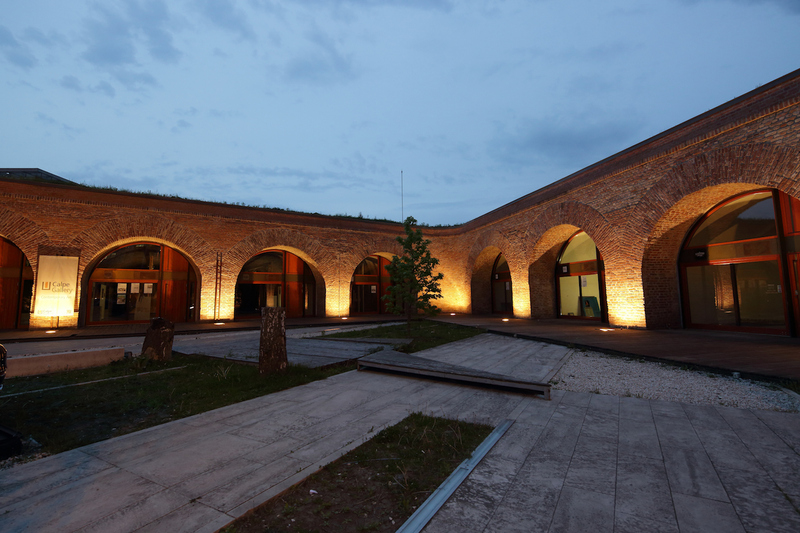 Calpe Gallery was opened in 2012, in building D of the Therezia Bastion in Timișoara. The bastion was built in 1738 part of the complex 9 cornered star-shaped fortress system. The building still remains the biggest fortification still standing in the city and one of the few traces of the former fortification of Timișoara. 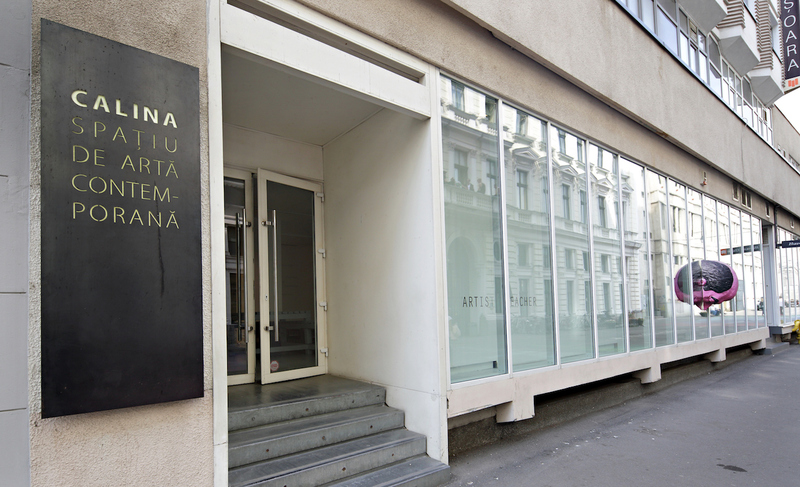 The House of Arts is a multidisciplinary centre, with places dedicated to exhibitions and spectacles. The institution aims towards bringing on stage artists from various culture fields and offering cultural manifestations for all ages, joining elements of multiculturalism and interdisciplinarity. Balamuc/ loc de joacă ş-altele is a platform for graphics research of the artists Livia Coloji, Ana Kun and Răzvan Cornici. A laboratory for experimentation and drawn communication, from classical illustration to comics, facebook, performance and home hospitality. 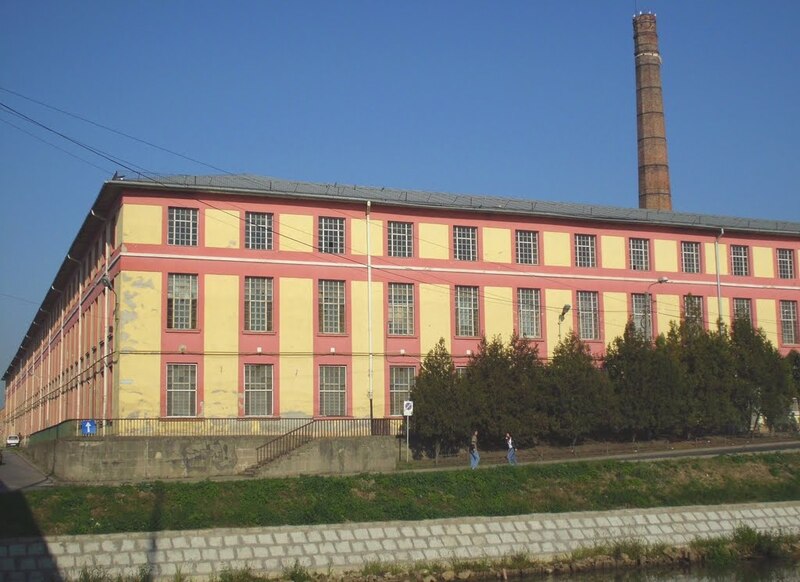 The former cigarette factory, with an initial construction site dating to 1846, was rebuilt in 1880 and extended several times. 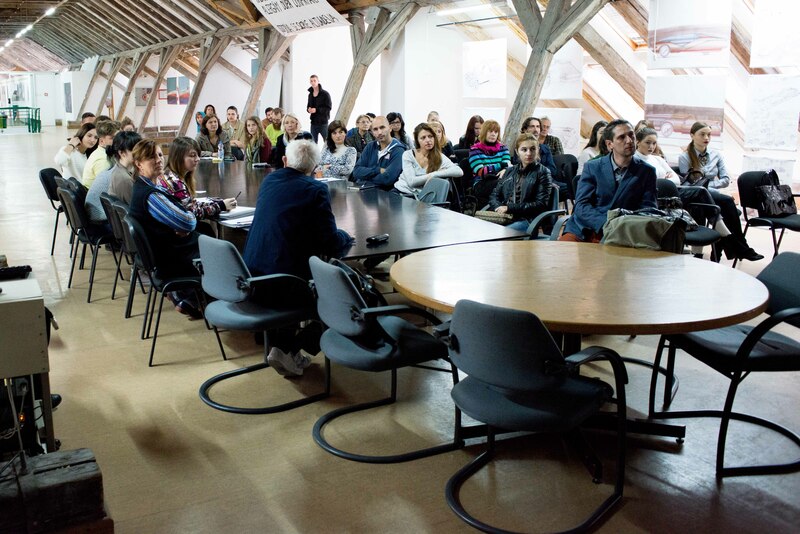 The factory comes to life in the autumn of 2017, at the same time with the relocation of Misc Art Center and the temporary hosting of the B5 Studio Association project from Targu-Mures, which was invited to take part in Art Encounters 2017. 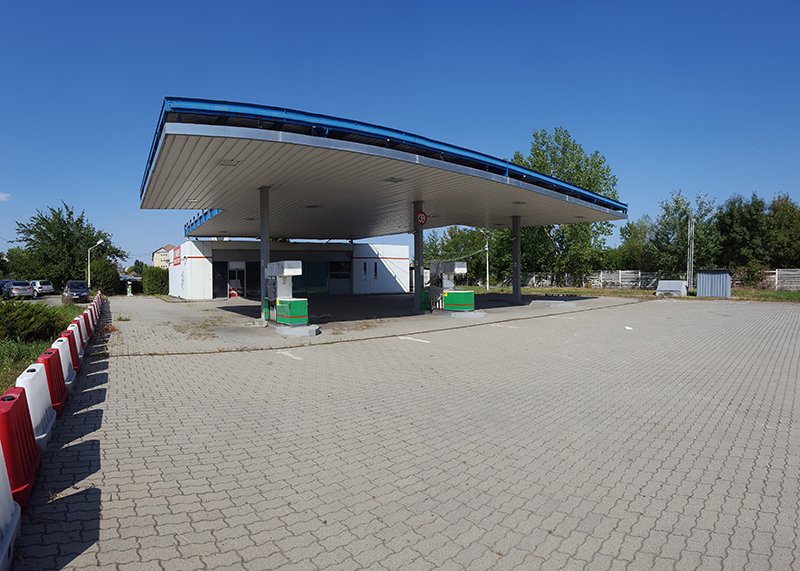 The building of the former gas station on Calea Circumvalațiunii, close to the TIMCO Halls and the business incubator INCUBOXX, becomes a space for the project belonging to Lateral ArtSpace Association from Cluj, during the Art Encounters 2017 event. The Urseni Water Plant is one of the first centralized water supply and purification systems in Europe. Surrounded by trees and a wild garden, the Plant is part of a group of four industrial buildings, dating back to 1914. 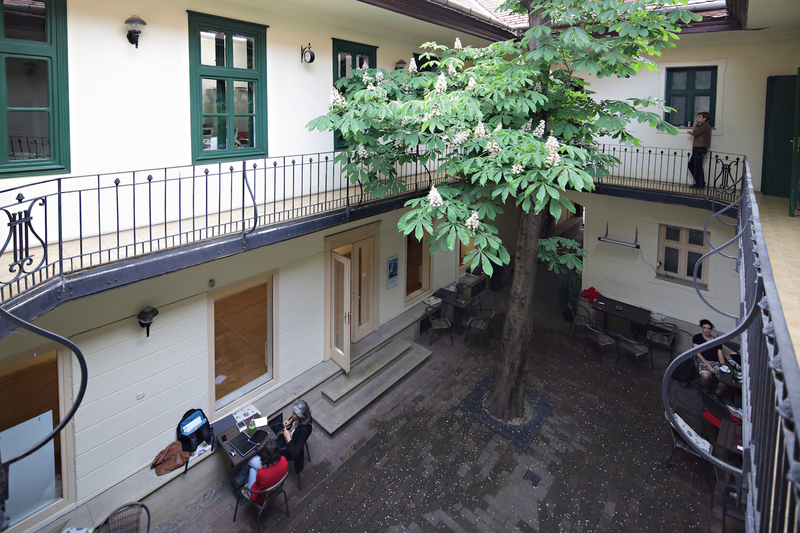 Open since the end of 2016 as a meeting place for those who love reading, a cultural space for people in Timisoara and a local art space, but also for tourists which visit the city, the bookstore hosts for Art Encounters 2017 a couple of book launches. 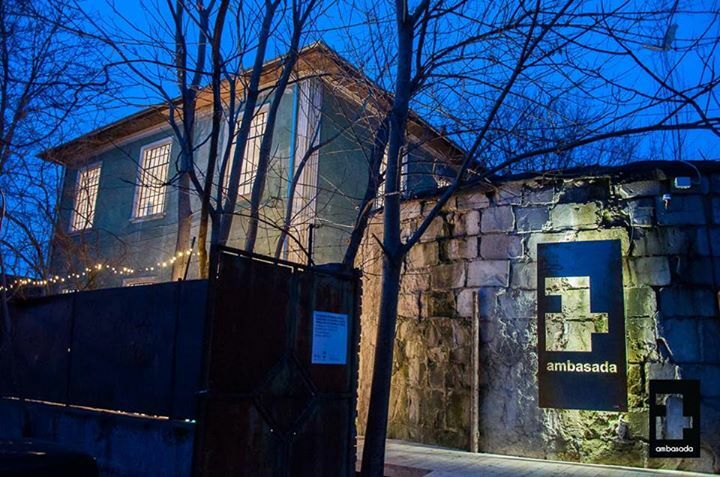 Open in 2014, AMBASADA is a place of meeting for cool people with interesting ideas , a project developed to support the creative and non-profit environment. The space is divided between a cafe, a bistro, a meeting room and an event room, where during Art Encounters 2017 movie projections and meeting with artists will take place. Inaugurated in 1924, Arta Cinema is one of the first cinemas in Arad. 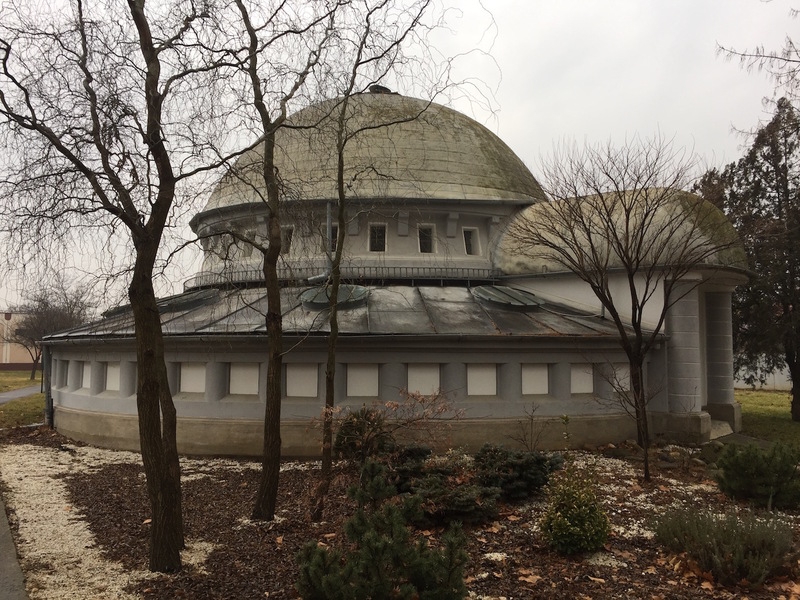 Newly equipped and renovated, it was officially reopened in 2016, after a 7 years break. During Art Encounters 2017, the cinema will host the events scheduled for Arad biennale, which is made of a series of movie projections and discussions with artist directors.